quanto ti piace la McLaren P1? 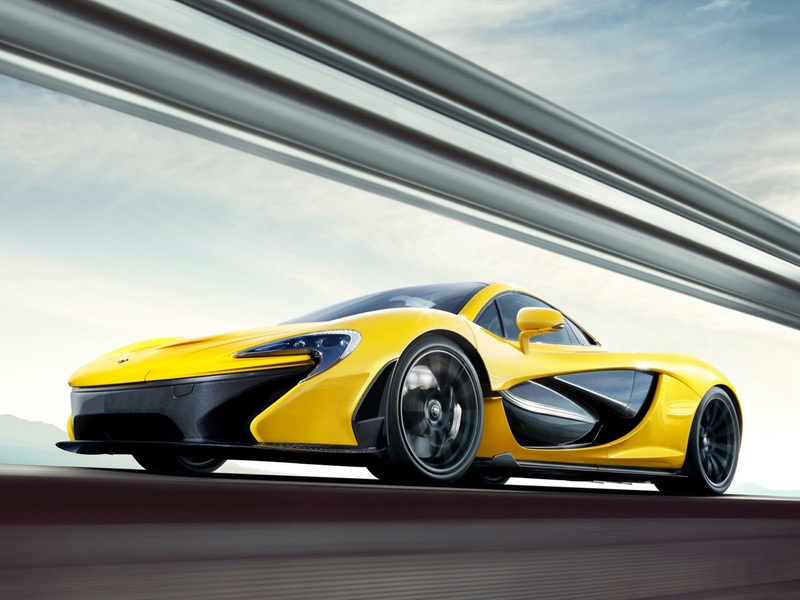 1. quanto ti piace la McLaren P1? McLaren has been engaging with potential customers actively in the last few months to get their views on the McLaren P1™, about the car’s styling. Their unanimous verdict on the styling was not to change the car presented last September in Paris. 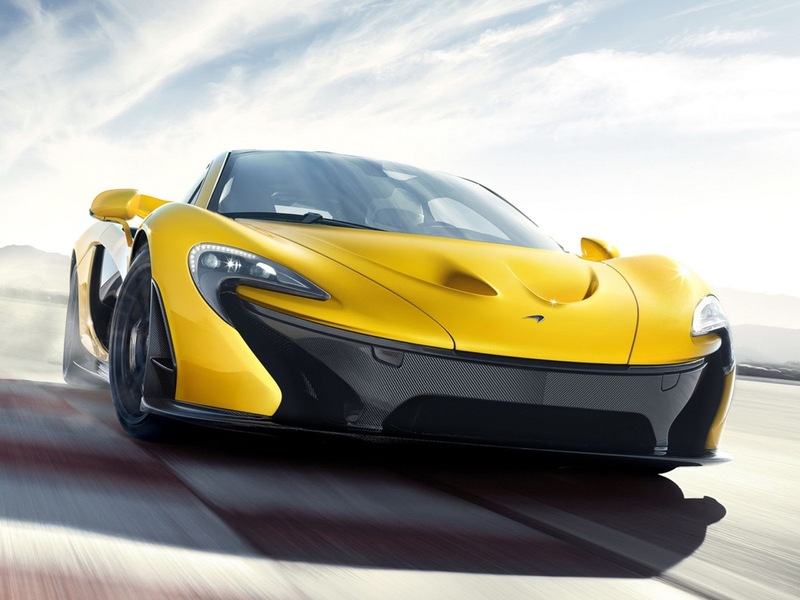 So unusually, the McLaren P1™ has translated to production form with very little change. In fact just one, the addition of LTR ducts ahead of each of the front wheels to further aid cooling and optimise downforce. McLaren has closely monitored demand so as to maintain exclusivity, and announced a production number of just 375 units – a figure that will ensure the McLaren P1™ will remain a rarity and, if spotted on the road, an unforgettable sight. McLaren has also announced that the car will cost from £866,000 on the road with a specification that fully equips the car for both road and track use. 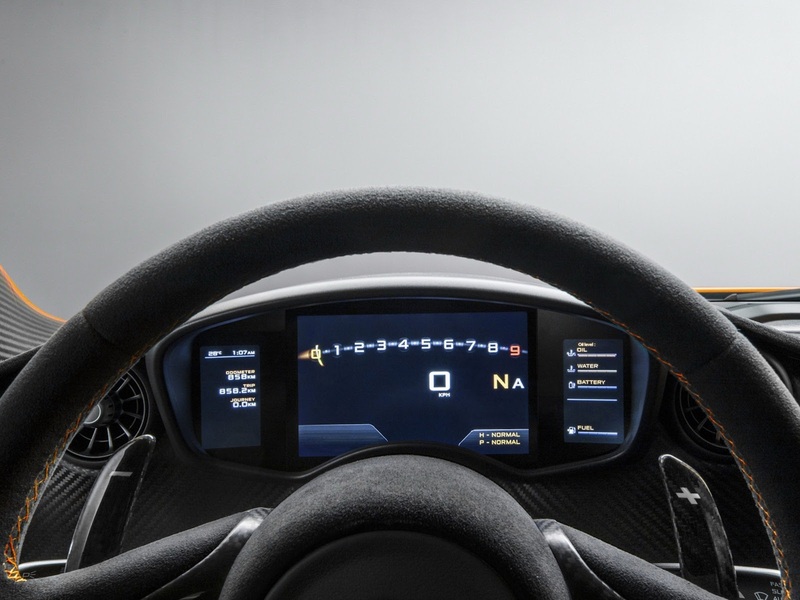 The company prides itself on designing performance cars that their owners can use regularly so the McLaren P1™ comes comprehensively equipped as standard with an array of colour and trim alternatives from which the customer will be able to choose as well as visible carbon fibre in the cabin. The options list is limited to only bespoke content that a customer might wish to add through McLaren Special Operations, and fitted luggage. 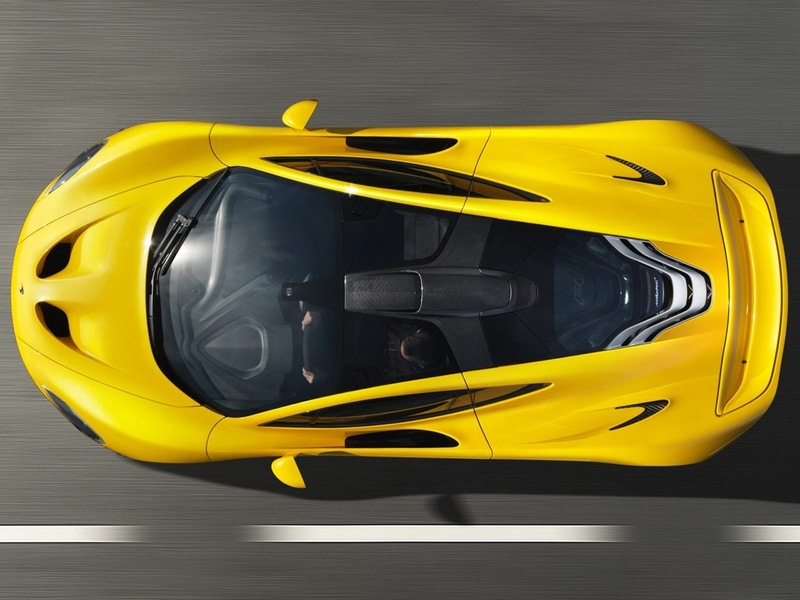 As already announced, the McLaren P1™ will have the combined force of two highly-efficient powerplants, offering the optimum mix of superb throttle response, day-to-day drivability and top speed. A mid-mounted 3.8-litre twin-turbo V8 petrol engine is substantially enhanced featuring, for example, larger turbochargers and a highly effective electric motor, to give a combined output of 916PS (903 bhp) and a maximum torque figure of 900Nm. This ensures instantaneous throttle response through the rev range, more akin to a naturally aspirated engine. Emissions of less than 200g/km on the combined cycle are reduced to zero in full electric drive mode, while the Formula 1-derived DRS and IPAS technologies offer an increase in straight-line speed and an instant boost of power. 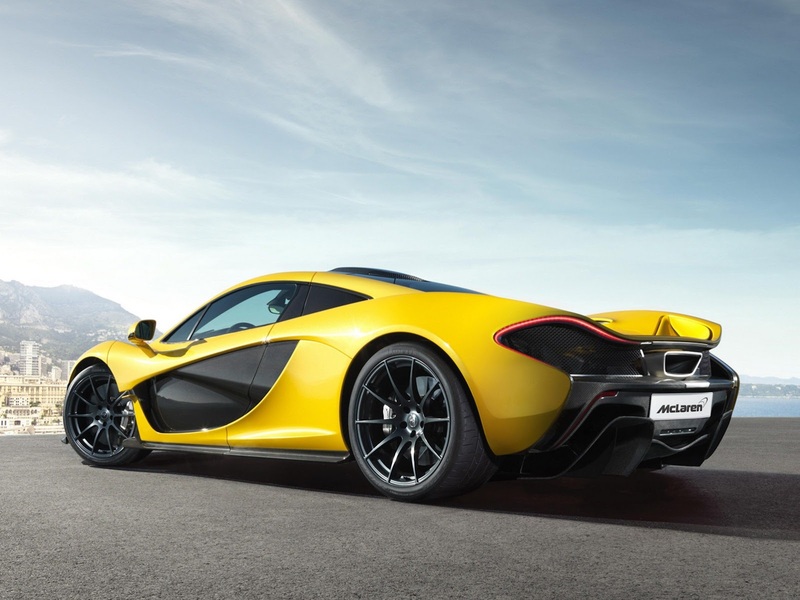 The tyres fitted to the McLaren P1™ are specially developed P Zero Corsas, which have been developed with McLaren’s technology partner, Pirelli. The team at Pirelli has been involved throughout the entire development programme, and this has seen the tyre testing phase integrated into the schedule, as a key performance component. The final compound and construction has been developed and optimised during testing, and the end result is a tyre that is finely tuned specifically to the performance and handling characteristics. 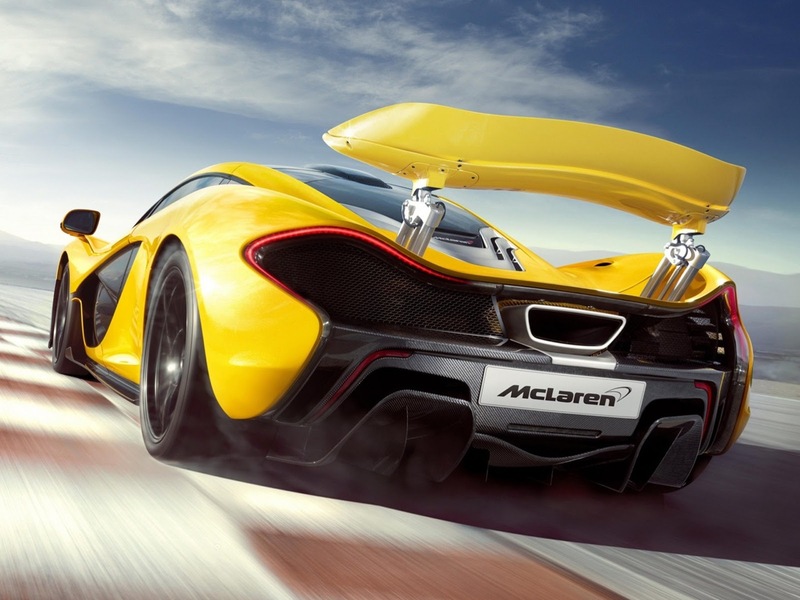 To rein in the power produced by the twin powerplants, the McLaren P1™ is designed to offer braking performance more associated with a GT3 or sports racing car. Developed by McLaren’s Formula 1 partner Akebono, the system features a new type of carbon ceramic disc, which has previously seen service in space, but never before used on a road car. Stronger than conventional carbon ceramic, the material dissipates heat more effectively, giving the highly efficient braking system exceptional stopping and cooling capability. The system also boasts significantly reduced weight, and a bespoke ceramic layer coats both friction surfaces to give an attractive mirrored finish. One surprising feature is that the car can also be driven solely in electric mode. In city driving, with an average speed of 30 mph, this could mean up to a 20km range. More than enough for an owner to enter, for example, a city centre Zero Emissions Zone, have dinner and return home. Per assurdo mi piace di più con la lama spalaneve alzata! Mi piacciono un sacco anche i fari dietro e più in generale il posteriore. Originale anche l'abitacolo, molto minimale, ma non banale... Imho. Favolosa, però non si vede bene il profilo e il frontale, sono tutte foto prese da terra... Ah, mi piace il giallo contrastato dal carbonio! Mi piace che abbiano tenuto quei fari posteriori, temevo cambiassero. Fuori, continua la ormai ventennale banalità stilistica della Mclaren (con mega alettone dietro estraibile per aumentare il carico).